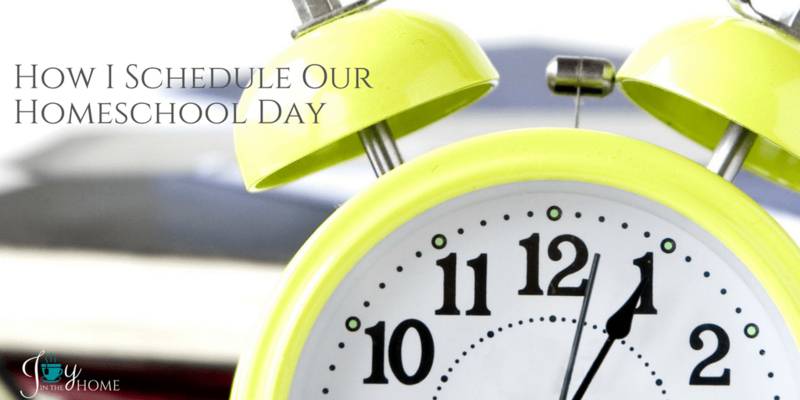 It is often asked of me, “How do you schedule your homeschool day?” So if you have asked me this question or are curious about the answer, this post is just for you! Our home is not your home. What works for us, may not work for you. Prayer and discussion with my husband have helped me find the priorities and keep them. If you don't like something we do, ignore it. If you love something we do, feel free to give it a try! My days can start early, but I prefer not to start it with an alarm. I seem to have my mom in me these days, but that hasn't always been the case. I have experience with waking early with an alarm and allowing my inner alarm (what my mom calls the thing that wakes her up around 4:30 AM or so) to tell me that it is time to get up. With that said, I have my days when early rising is just not what my body needs. I'm so thankful for homeschooling to allow me to go with my body's needs and take the day as it comes. Please don't read that to mean that I don't have a schedule because if you spent one week with me, you would quickly see that we may not start the day at the same time, but our days flow the same regardless of the clock. This is the best tip I can give anyone who desires to find a rhythm for their homeschool day… create a natural flow for your own home! I cherish my morning hours for some quiet time and getting some blogging work accomplished, but often times I have it interrupted with early risers. When this happens, I have my little guy curl up with me for ‘morning love‘ but when he has had enough, I keep him close to me in a quiet way but turning on one of his learning shows. This time is always precious, as he loves to narrate to me what he already knows when he is watching a show he has already viewed a few times. Now that my little guy knows his numbers, his digital clock next to his bed is helping him to learn to stay in bed until it says 8:00 AM. He isn't faithful in my request for this, but in time that will all change. This has exceptions, like if we are dealing with sickness or have been out of the house really late the night before. I'm a strong believer in the body needing a lot of rest at a young age and I always desire my younger children to get 12 hours of sleep in a 24 hour of time. 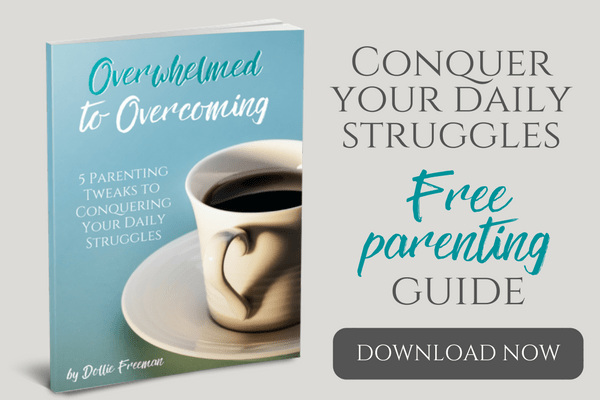 This is so important during growing spurts! My husband works from home a lot, so I have the joy of being flexible often when it comes to making a wholesome breakfast. On days that he leaves the home earlier than the children get up, I will reach for the cereal boxes and make it an easier morning for me, unless there are leftover waffles. If I'm still working on breakfast and my children are awake, they start on their household chores. I have raised my children in independent work and in the early stages of this training, I would require them to be at the kitchen table, so I can make the most of my morning energy and my crockpot or rice cooker with what is on the menu for dinner and cleaning up the kitchen. 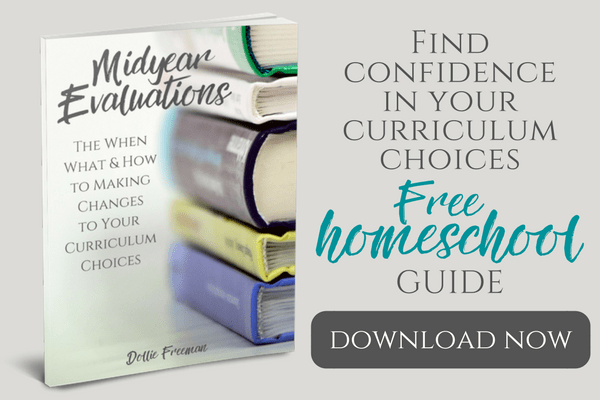 When my children became more independent in their homeschooling, I would do more of my own responsibilities during this time or work with the younger children who need more dependent help at this time. Depending on their age, this could be 5 minutes or up to 2 hours for high school. After independent work is finished and evaluated, I then work with my children. We always do read aloud together, nature and history regardless of their age. The younger ones will get what they get and you will repeat it when they are older, most likely. For our high school children, they would take a break for about 30-45 minutes and then head back to the lessons until their daily work is finished. This is mostly done by 2 PM. Our family has always put responsibilities above free time. If their chores were not finished in the morning, this is their time to complete them. My children have about 30 minutes a day of responsibilities and more when they are older. We always desire to have a clean house and be able to be hospitable at a moments notice, so this is something we all share in our home. 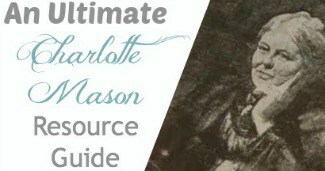 Following the teaching of Charlotte Mason, I have always held free time in the afternoon as important as I hold rest for my children. It is during these hours that two-thirds of their curriculum are covered: something to love and something to do. Sibling relationships are key in our home and we have always put these before outside relationships, even though this too is important. Another big focus during this time was their focus on hobbies, not lead by me, but themselves. Of course, some hobbies needed my help to first learn but the joy my children had during these hours were priceless. Nothing helped formed them as much as these hours, with the exception of the Bible. My husband has always appreciated that I have been faithful to have dinner time around the same hours of the day, with very few exceptions. It has been easy when I used independent learning time to start dinner and let my kitchen tools do my work for me. My husband used the 30 minutes after dinner to relax and turn off work and get ready for the family. This worked perfectly because it was during this time that the children and I would clean the kitchen. As they got older and could do this by themselves, I was able to have those 30 minutes with my hubby, talking about our day. This is such a good thing! This time was always different in the seasons, but my husband tries to spend doing something with the children outside, or taking nature walks with the family, watching something we all enjoyed together or just talking together. This hasn't changed in all of our parenting years that I can remember. My husband will help get the children ready for bed, mostly because I have a hard time seeing them get all crazy right before bed, so I'm happier to remove myself and let them make memories. Once all the routines are done, I join my husband and children in one bedroom and we pray together as a family, usually lead by my husband and our youngest child who loves to pray. Sometimes, my husband isn't home and then the next son in line will lead us in prayer. During school time, bedtime is at 8 PM (remember, I aim for 12 hours of sleep for my children) and 9-10 PM for my high schoolers. I can't quite explain how my second high school made it to 11 PM in his junior year, but it happened and by the time I realized it, it was too late. I miss the times my husband and I had hours at night to ourselves but I'm often reminded that one day we will have all the time in the day to spend together and I will miss my blessings around the house. I hope it helps seeing how it works in our homeschooling day.